Cashman, Yankees Look Forward to Spring Training…Already. The words on his hat were sobering. Just a half hour after the New York Yankees stunningly lost to theTexas Rangers in Game 6 of the 2010 ALCS, General Manager, Brian Cashman was seen sporting a cap that read, “Spring Training,” and featured a Yankees logo. Symbolically, the hat represented a positive look forward to the 2011 season and the franchise’s next opportunity to capture their 28th World SeriesChampionship. But where did the hat come from so quickly? It was a curious, pre-meditated decision to have that hat on-hand, to wear at that particular moment – a choice that had some Yankees fans wondering if their team was mentally into last night’s elimination game, or had already waived the white flag and were ready for a vacation. It’s a moot point now. 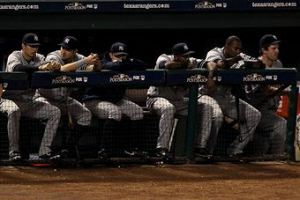 The 2010 Yankees season came to an end last night, deep in the heart of Texas. 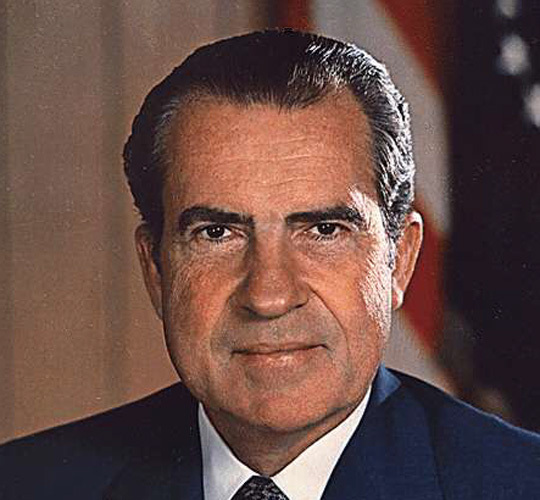 There will be no parade down the Canyon of Heroes this year. To ensure the Yankees are back in the hunt in 2011, Cashman will have to remove his controversial Spring Training headgear and put on his General Manager’s hat for the next 3 months in order to re-stock his pinstriped roster with younger, and hungrier talent. For sure, the Yankees will look to sign Cliff Lee away from the Rangers, and possibly woo the speedy Carl Crawford away from the Tampa Bay Rays, but interesting decisions will have to be made internally as well. It will start with the future of Manager, Joe Girardi. Cashman acknowledged he wants the skipper back in 2011, but admitted he had not confirmed the sentiment with ownership yet. The future of the “Core 4” is in question too. 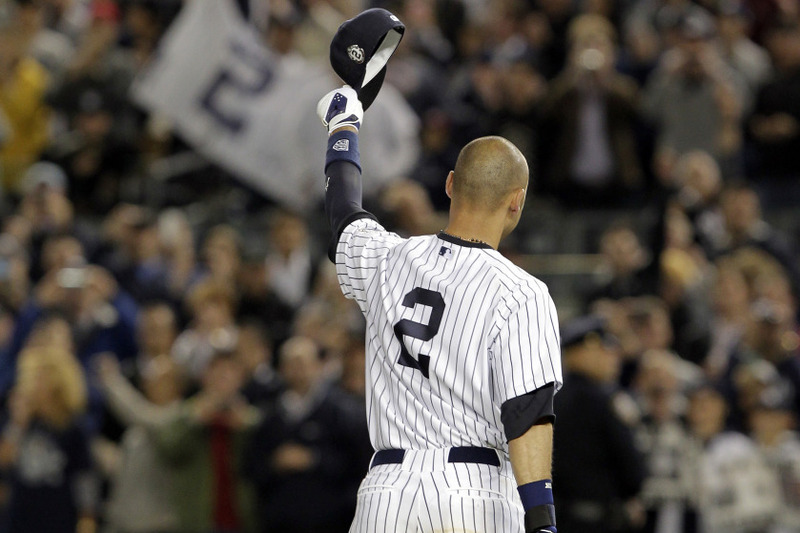 Captain, Derek Jeter is at the end of his 10-year deal, and will no doubt command a big contract to end his career with the Bombers. Likewise, Closer, Mariano Rivera is a free agent, and at the age of 40, is still pitching as well as he ever has. 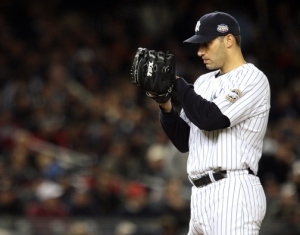 Standing at his locker last night, Andy Pettitte was indecisive about his plans for next season, admitting his desire to spend more time with his family. Finally, Catcher, Jorge Posada is likely to be pushed for playing time by top catching prospect, Jesus Montero. 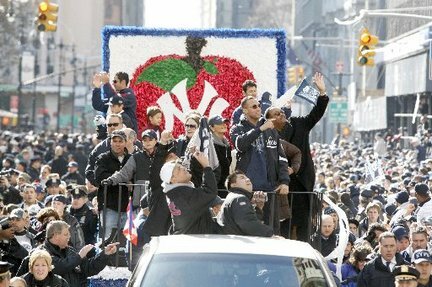 The 2011 Yankees will no doubt look different from the team that came just 6 victories away from a World Series title in 2010. One thing is certain, whatever combination of superstars take the field in the Bronx next year, Cashman will make sure they contend for a title. World Series hats tend to be more fashionable than Spring Training caps anyway. Field Trip Is Perfect Formula for Yankees Success…Again. This past Tuesday, Yankees Manager, Joe Girardi, once again played the role of Pinstriped Scientist, looking to concoct team chemistry, like he successfully did last season. In 2009, Girardi mixed all the right elements from baseball’s periodic table. 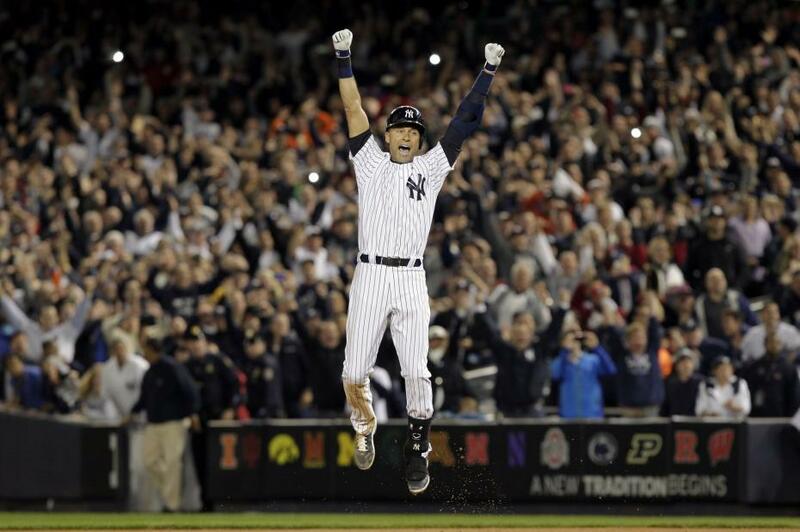 The result: an on-field explosion that carried the Yankees all the way to a World Series Title. Last season, Girardi conducted a bit of an experiment with his players during Spring Training. 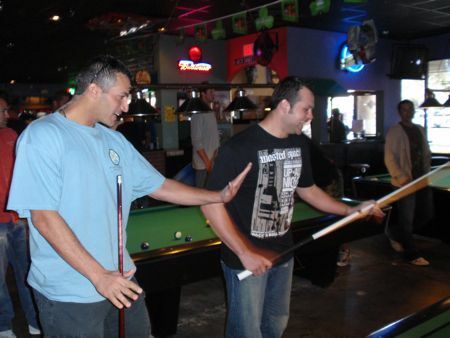 The club traded their bats and pine tar for pool sticks and chalk, and spent the day at a local billiards joint. The bonding session helped solidify the foundation of the team’s close-knit group, forming relationships that, many claim, set the tone for their Championship run. If Girardi wants to end this upcoming season the same way he did last season, he figures, he should probably start it the same way too. It’s a new tradition for the most traditional franchise in professional sports. 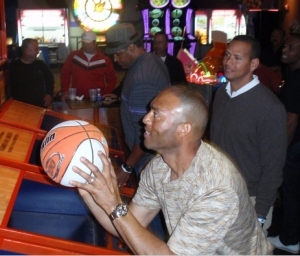 This year’s class trip found the Yankees at a Tampa-based arcade for a day filled with video games, skee ball, and pop-a-shot – something that resonated very positively with the players. The stress-free environment allowed the players to forget the daily rigors of training, trying to earn a roster spot, or just fitting in. While at the arcade, every player was on even ground. Royce Ring could hang out with Mariano Rivera. Ramiro Pena could socialize with Alex Rodriguez. 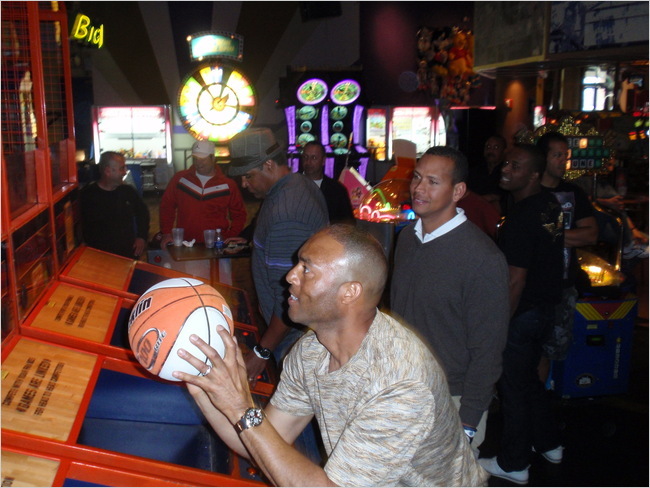 There were no superstars or bench players inside the arcade, a sense of equality off-the-field that should translate well into on-field team chemistry. Wednesday afternoon, they started putting the theory to test. It was back to business as usual at George M. Steinbrenner Field and the Yankees picked up right where they left off last November, defeating the Pittsburgh Pirates 6-3 in their first Spring Training game of the new season. They even did it in walk-off fashion, as Colin Curtis hit a three-run home run in the 9th inning to secure the win…what, no pie? It was a first small step towards defending their title, the 27th in franchise history. Unlike previous camps, 2010 has been relatively smooth. The drama and non-baseball related storylines have been non-existent. The only real source of controversy has been over the 5th spot in the pitching rotation, a post to be filled by either Joba Chamberlain, Phil Hughes, or a combination of Chad Gaudin, Sergio Mitre, and Alfredo Aceves. In addition, the Yankees enter the 2010 season with some familiar faces like Johnny Damon and Hideki Matsui gone, and some new additions like Curtis Granderson and Javier Vazquez onboard. The “Core 4” of Derek Jeter, Jorge Posada, Andy Pettitte, and Mariano Rivera will again be at the heart of the Yankee Universe, as they pursue yet another Title. It would be the sixth career ring for each franchise icon, and the 28th Championship in club history. First thing’s first, the Yankees have to get through eight long months of baseball before they start planning another trip down the Canyon of Heroes. Number twenty-eight is the goal this year – the target is once again, literally, on Girardi’s back – he changed uniform numbers. It’s a responsibility he’s thoroughly prepared for. He methodically laid the foundation this Tuesday at the arcade, shaking things up and formulating stronger team chemistry. After last season, he’s got this down to a science. The swagger is back in the Bronx. As the New York Yankees prepare for their American League Championship Series with the Los Angeles Angels, it’s clear, there’s something different about this team. 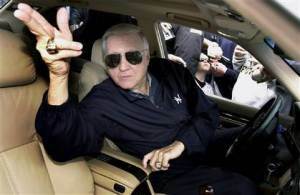 In the eight seasons immediately following their Subway Series victory in 2000, the New York Yankees morphed into a collection of highly-paid, corporate superstars. Team chemistry was weak. Anxiety levels were high. These days, the Yankees are wearing their ties a little looser and having a little more fun at the ball park. So what changed? That’s easy…easy as pie. In 2009, the most traditional team in all of sports established a new ritual – a good, old fashioned, pie to the face – courtesy of AJ’s Bakery, Co. All pies were hand delivered by Pitcher, AJ Burnett, on cue, to any player to notch a walk-off hit in the Bronx. 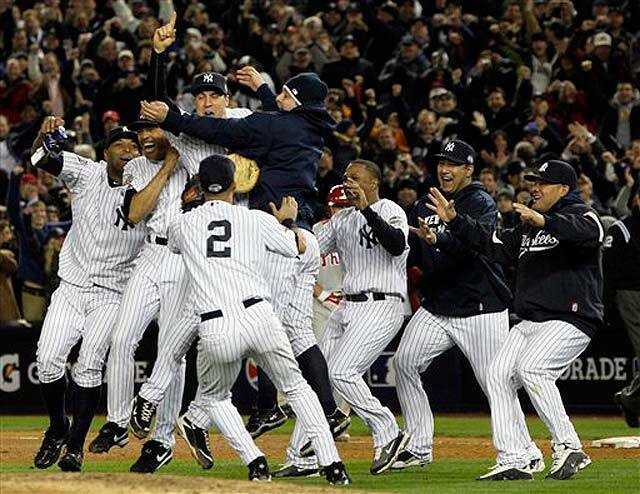 Early on, critics scoffed at the amateurish celebration tactic adopted by the business-like Yankees. Many argued that such a childish act seemed out of place among these men in pinstriped suits, claiming it was not “Yankee-like.” As irony would have it, a little silliness was exactly what this team needed. Unlike so many other Yankees teams that have come before them, the 2009 club seems more relaxed, and free from all the stress that comes along with the yearly “World Series victory or bust” mentality. The additions of free-spirits like Burnett and Nick Swisher have served as the perfect compliment to the older, more business-like core of Derek Jeter, Mariano Rivera, Andy Pettitte and Jorge Posada. Initially, there was some question as to how a member of that “old guard” would react when greeted with a face full of whipped cream. That was answered on July 4, 2009 when Posada stole the game from the Blue Jays with a walk off single in the 12th inning. Like clockwork, the catcher’s postgame interview turned into a pie eating contest, much to the delight of on looking fans. Each walk-off pie – there have been 16 of them so far, including Mark Teixeira’s ALDS Game 2 pastry punch – has served as much more than a show of celebration. It has developed camaraderie, calmed nerves, and tasted much sweeter than the humble pie they’ve been forced to eat in recent years. Timely hitting, lights out pitching, and the addition of team-first players like Teixeira and CC Sabathia have all been major reasons this club has succeeded. Most importantly, this team has been reminded that winning can be fun. A little whipped cream is all it took to ease the tension of the daily New York baseball rigors. The 2009 Yankees are all having a blast. It seems as though this baseball machine is destined to return to glory. The roster is a perfect blend of experience, youth, and journeymen – all hungry for the same thing: a World Series title, and perhaps some pie for dessert.